Shannon Tully, head coach of University of Illinois at Chicago women’s tennis team, has guided student-athletes for nearly 20 years. Players say Tully serves as the American mother for this team, where seven of the eight players are international students who traveled thousands of miles to attend UIC. Before coaching, Tully played for the University of Wisconsin Badgers from 1991-1995, serving as team captain for the 1994-1995 season and graduating in 1996. Here is a look of Tully’s coaching day. 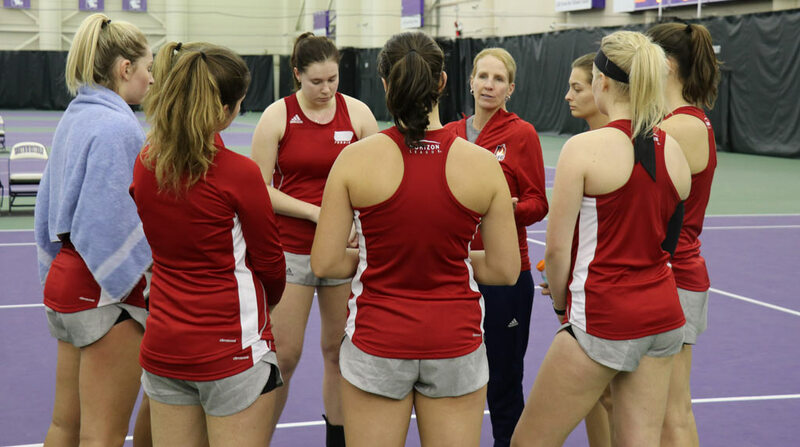 Photo at top: UIC Women’s Tennis team huddles with Coach Shannon Tully (wearing the red jacket) before a game.